On February 8, the American Kennel Club Museum of the Dog opened its stylish new Park Avenue home after nearly 30 years on the outskirts of St. Louis. Step inside and you’re surrounded by artifacts like a terracotta dog paw print dating from the Roman empire, celebrated pooch portraits like that of former White House Dog Millie Bush and kiosks where you can match your facial features to your favorite dog breed. 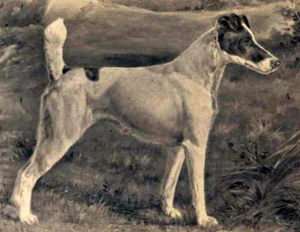 Further downtown, the William Secord Gallery, a gallery devoted to top-notch dog art, unleashes their annual winter exhibition of 19th-century dog paintings with handsome depictions of dogs from Non-Sporting, Sporting, Terrier and Toy groups. Normally open by appointment only, the gallery allows walk-in visitors February 9 through 13 from 10 am to 5 pm (the show continues through March 15). There’s no better place to see the world’s top dogs sit, heel and obey than at the 143rd Annual Westminster Kennel Club Dog Show at Madison Square Garden. But even show dogs (and their minders) need sleep. Which means parking yourself in the lobby of a hotel that caters to prize pups is a great way to watch a parade of exquisitely groomed, world-class animals bound for the show (and maybe, glory). If you’re lucky, you’ll see one of this year’s two newly eligible breeds, the Nederlandse Kooikerhondjes, a spirited Sporting group dog of Dutch descent, and the Grand Bassett Griffon Vendeéns, a happy, outgoing French rough-coated Hound. Coincidentally on purpose, three hotels anointed by the Kennel Club as Gold Class Partners are a short walk from the Garden. Dog watching couldn’t be easier. Places to sit in the Hotel Penn lobby are scarce. Dogs are not. 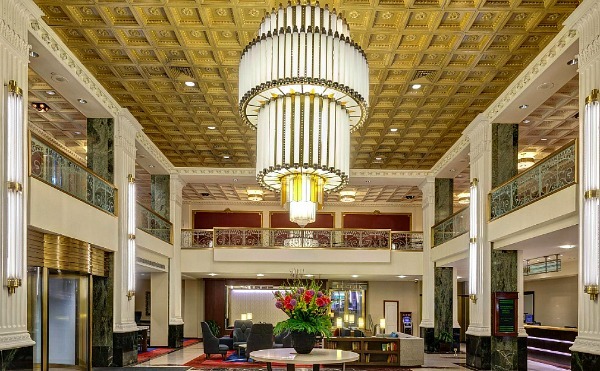 Situated directly across the street from the Garden, the enormous Hotel Pennsylvania lures show dog owners with an enormous indoor Room to Groom S’paw in the basement outfitted with bathing tubs, a grooming area, spaces for exercising and a designated in-house relieving area. Westminster participants also receive a welcome package, treats and the services of the hotel’s Dog Concierge, who helps out the owners. 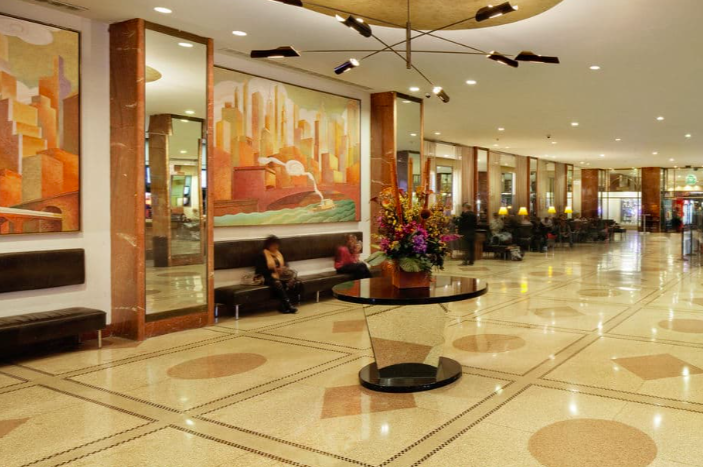 With its red marble floor and imposing Art Deco chandelier, the lobby at The New Yorker, a Wyndham Hotel, offers a spacious backdrop for dog watching. And though lobby seating isn’t as plentiful as it once was, you can still get lucky and score a spot on a trim leather sofa and watch the unofficial parade of champions. Bonus: the Tick-Tock Diner, billed as New York City’s largest diner, adjoins the lobby and is open 24 hours. 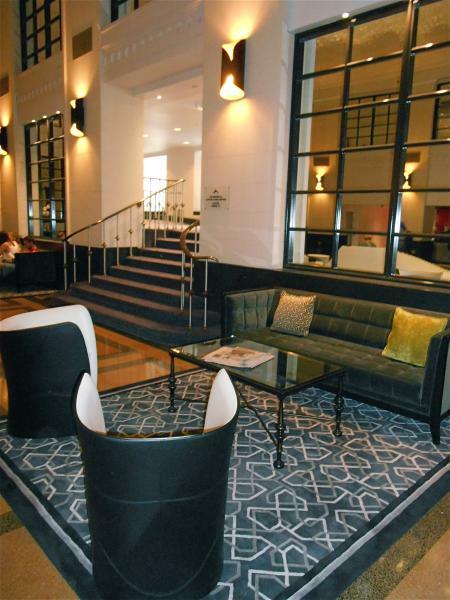 The elegant lobby at The Stewart Hotel is inviting, designed as a conceptualized take on the island of Manhattan (the hotel was previously the Affinia Manhattan). It’s a handsome promenade for dogs to make an entrance (or exit). The hotel also goes all out for dog owners, offering a special exercise room on an upper floor outfitted with sofas, water and dog biscuits and an outdoor dog run layered with astroturf so dogs can work out without leaving the hotel.